Video Gallery. Gilda Badillo wedding photographer and videographer. Cabo San Lucas, Mexico. Anna Maria & Julio I Sunset Da Mona Lisa from Gilda Badillo and G&G Films on Vimeo. 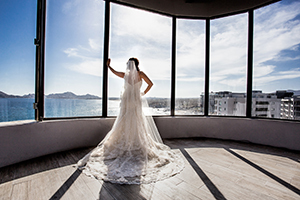 Jill & Brian I Grand Fiesta Americana Los Cabos from Gilda Badillo and G&G Films on Vimeo. 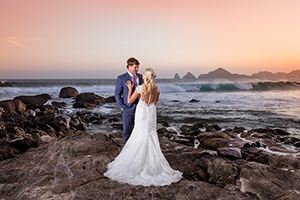 Justin & Meg at Cabo Del Sol Ocean Golf Course from Gilda Badillo and G&G Films on Vimeo. 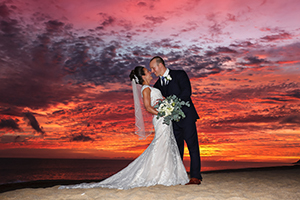 Lyndsay & John I Grand Solmar Resort from Gilda Badillo and G&G Films on Vimeo. Andrea + Patrick I Sheraton Grand Los Cabos, Hacienda del Mar from Gilda Badillo and G&G Films on Vimeo. 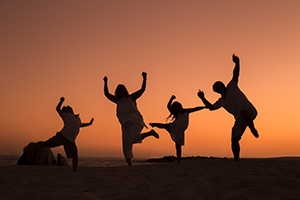 Milasent & Darrell I Pueblo Bonito Sunset from Gilda Badillo and G&G Films on Vimeo. Claudia + Ed I Sunset Monalisa, Me Cabo from Gilda Badillo and G&G Films on Vimeo. Alex & Connie I Secrets Puerto Los Cabos from Gilda Badillo and G&G Films on Vimeo. Mike & Cinthia I Rancho Migrino from Gilda Badillo and G&G Films on Vimeo. The drone add a new dimension to wedding video. Drone filming can look so spectacular, because the video can really reveal the grandeur of a wedding venue and its surroundings. Your wedding day lives on through the film captured by our lens and the language of love our films speak. While filming we create special atmosphere of happiness and romance, surprises and emotions and make your wedding film into a true movie masterpiece.